In this full day tour, we will look at the exploits of the famous Easy Company of the 101st Airborne division, immortalized by the HBO miniseries Band of Brothers. We start at the dropzone near Son where the men landed and then move on the bridge at Son which was the first objective of the 506 Parachute Infantry Regiment. In Eindhoven we follow the men as they marched into town to the four bridges across the Dommel river. We then head to Nuenen where the men had a day long battle against a German battle group, before moving up Hell’s Highway to Veghel. In Veghel we are going to look at the two times the Germans managed to block the corridor, to the north and to the south of the town. This tour will take around 8 hours. 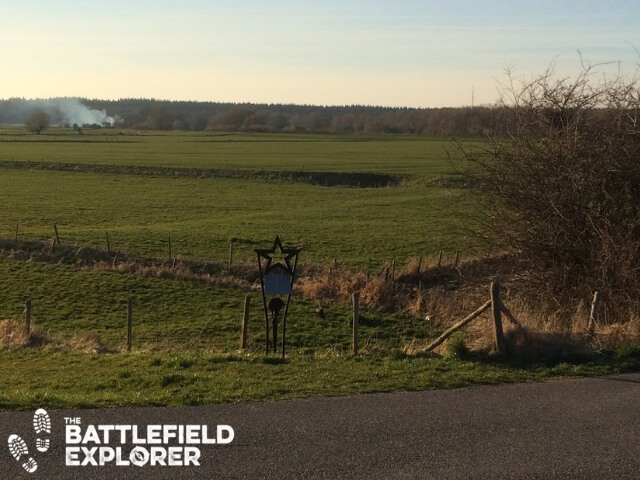 This battlefield tour is available in English and in Dutch. Price for a full day private tour, 1 to 4 people is €375. Transportation for up to 4 persons is included. Lunch and museum entrance is not included in the price.